Love your legumes, but the kids are not that keen. 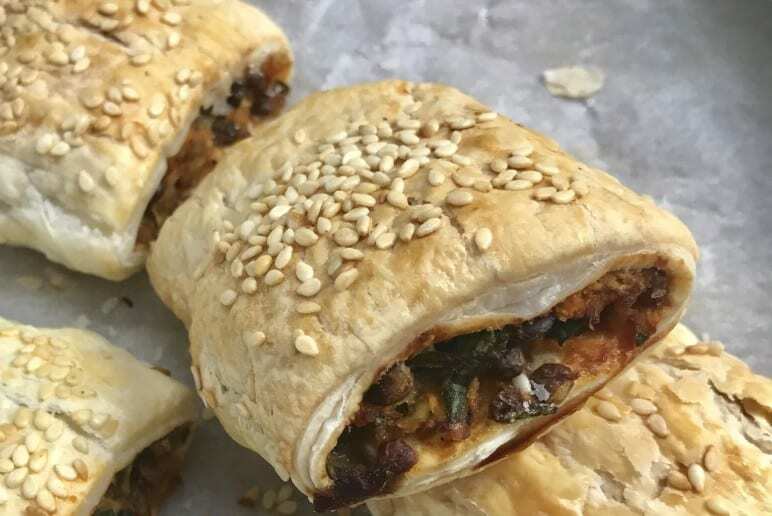 The kids won’t even know there’s a lentil in site with these veggie packed lentil ‘sausage’ rolls. Suitable for freezing and and are ideal for the lunchbox. Pre – heat the oven to 150 degrees C. Line two baking trays with baking paper. Heat a frypan over medium heat, drizzle a little extra virgin olive oil and sauté onion and garlic until soft. In a large mixing bowl, add cooked onions and garlic to lentils, quinoa flakes, carrots, zucchini, spinach, barbecue sauce and eggs and season with salt and pepper, and mix until well combined. Divide mixture evenly into pastry parcels. If using puff pastry, brush a little egg mixture and sprinkle with sesame seeds. Bake in the oven for 30-35 minutes.